Relaunch of a 1958 Thompson Sea Skiff. 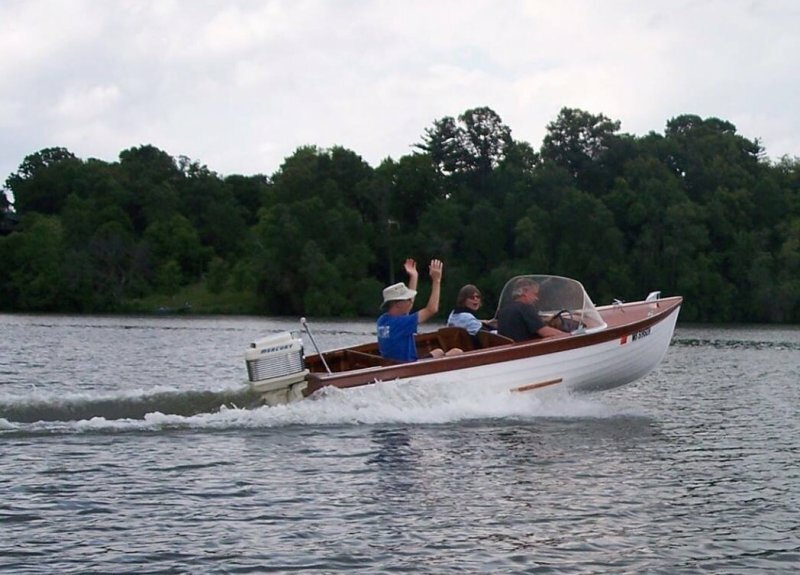 This is the smallest lap strake boat made by Thompson in Peshtigo, Wisconsin. All ribs, keel, gunnel, spray rails, and decking were replaced. The hull of fir plywood was in surprisingly good shap and was scraped to bare wood and painted after a layer of glass and epoxy on the bottom. 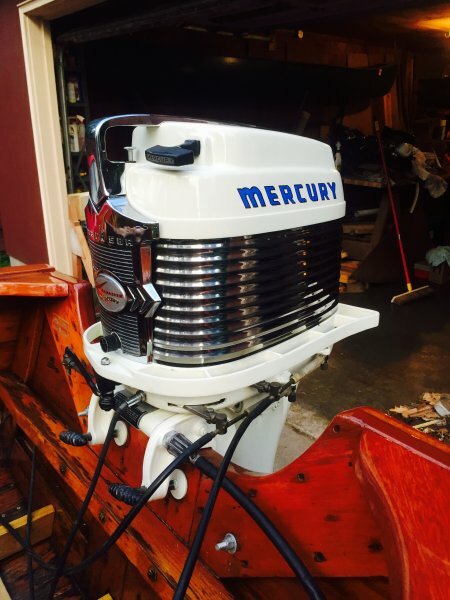 The Mercury Mark58a motor is original to the boat and was repainted to original color after a lower end rebuild and tune. It really gets up and goes!